One of the many benefits from our sustainable farming practices is the profusion of bees, butterflies and other beneficial insects. Our family name Honig is the German word for honey, so we figured we should have some bees of our own! 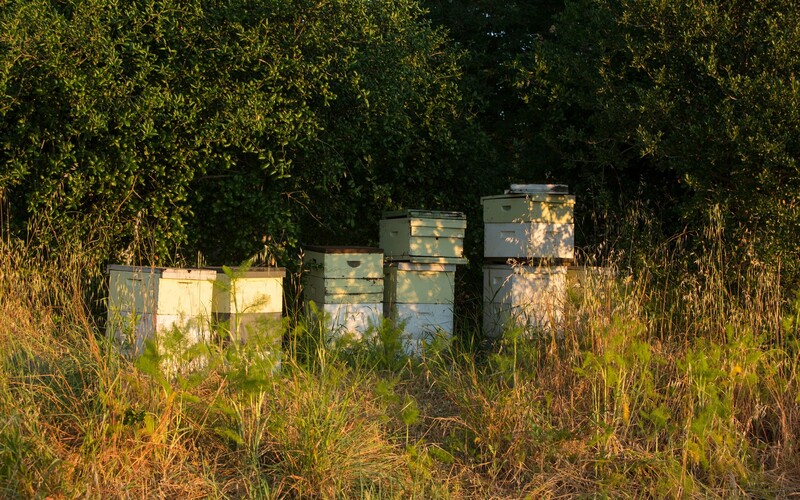 Healthy bees are also a sign of a thriving eco-system. Honey is surprisingly like wine, and like wine, honey's flavor is a reflection of the plants where the pollen originated. 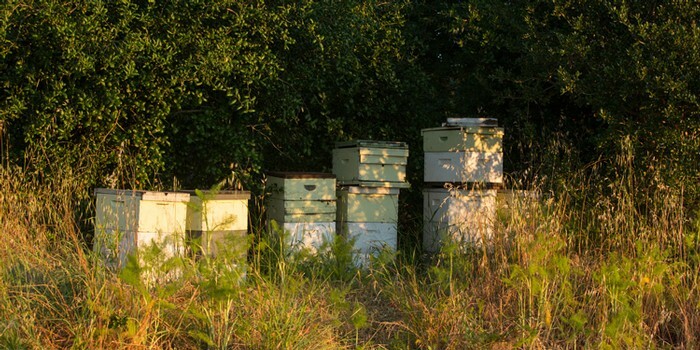 Our beehives are located along the river, where the bees can get fresh water and forage for pollen along the banks. They also forage in the cover crops in the vineyards and the gardens around the winery and houses. A healthy hive has as many as 60,000 bees living in it, and these bees can produce an average of 800 lbs. of honey a year. Our beekeeper will extract 100 lbs. of honey per hive, per year, leaving the remainder for the bees to live on. We have a limited amount of honey for sale in our tasting room, and on occasion include it as a gift in a wine club shipment.